The Department for Youth and Sports is responsible for ensuring the holistic development of the youth in general and also the young athletes in the Sports industry of Seychelles. The Department’s mandate is to support and facilitate measurable improvement in all sectors working for and with the young people. It involves enhancing economic gains for young people, through better coordination of services, catering for their needs, introducing youth friendly policies that cut across all sectors relevant to their development. The National Youth Policy Forum(NYPF), the Seychelles National Youth Council(SNYC), the Seychelles National Sports Council(NSC) along with other Non-Governmental organizations (NGOS) essentially ensure the implementation of the policies. 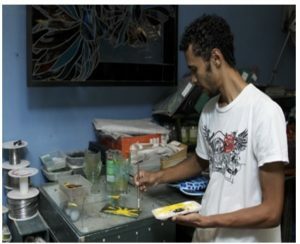 In Seychelles, the working population consists of mostly young people contributing towards its economic growth and development. There is not a real lack of employment opportunities as the country currently hosts about 17,000 expatriate workers. A recent National Survey based on the well-being and quality of life for young people showed that, in general, this group felt that the education system was providing a good enough foundation to enable them to secure decent jobs. However, the same survey found that a significant number of young people had failed to perform well enough at school and were thus facing difficulties in securing the employment of their choice because they were unqualified, under-qualified or, to some extent, unskilled. TheSeychelles National Youth Council(SNYC) which has two units aimed at promoting youth employment. These are the Employment Initiative Unit(which compliments an existing structure established by the Employment Department) and the Youth Entrepreneurship Programme, which provides support and guidance to those who wish to join the private business sector. TheDepartment of Employment,which is mandated to build a productive workforce and to promote decent work in the country, achieves this through activities and programmes such as the Decent Work Country Programme. The Youth Entrepreneurship Programmeis mandated to help develop an entrepreneurial spirit in youths by providing training in entrepreneurship and facilitating access for business start-ups to funding through grants and low interest loans. Information provided by the SNYC showed that during the year 2017, 104 young people visited the Employment Initiative Unitexpressing interest in securing employment. 54 youth applied for jobs of which 20 were called for interviews. Following up with the other 34 youth showed that some did not receive any reply to their application whilst others were advised that they had not made it to the interview stage. Among the 20, only 6 were successful. It is important to note that the young people were advised by the SNYC whether or not they met the required criteria. However some insisted on applying in spite of the SNYC’s advice. In addition, the Employment Initiative Unitrecorded that 50 youth who visited their office did so for the purpose of being assisted for CV-writing, the drafting of application letters and, for some, financial assistance to get to job interviews. Of the 50, 19 youth were under the age of 18 and were therefore advised to go to the Ministry of Employment for enrolment in other programmes. TheYouth Entrepreneurship Unitis mandated to help develop and nurture an entrepreneurial spirit in youths by providing training in entrepreneurship and facilitating access for business start-ups to funding through grants and low interest loans. 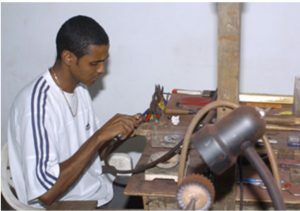 Statistics show that the unit has assisted 73 young entrepreneurs from 2015 to 2017 to set up businesses in agriculture, food handling, tailoring, retail, printing and decorating, filming/photography, air conditioning and refrigeration, beauty salons and barber shops, IT and mobile repair, fishing and excursions, and welding. The Employment Department has 4 main schemes which targets and promotes youth employment. It introduced the My First Job Schemein 2016, aimed at encouraging employers to recruit inexperienced students from professional educational centres upon completion of their studies. The Government’s aim at implementing such a scheme was to help young people in securing decent jobs, gaining important career skills and also developing interest in entrepreneurship. Under the scheme, the government refunds 40% of the salaries of each young graduate employed by private companies or those self-employed for a period of one year, for monthly salaries of up to a maximum of SCR 7000 (around USD $500, depending on the exchange rate). jobseekers with post-secondary level education but with no work experience. In 2014 the programme was evaluated and reviewed and a new SDP was implemented in April 2016, encapsulating the school drop outs and unemployed individuals who have not actively searched for work for a minimum of 3 years (e.g. welfare claimants/ recipients, ex-convicts amongst other vulnerable groups, including those with skills in a particular area which is no longer in demand). Statistics show that in 2016, out of the 160 participants (Male= 61, Female=99), 48 completed (Male=14, Female=34), 71 dropped out (Male=31, Female=71). Only 41 participants are still enrolled on the programme (Male=15, Female=26). In the year 2017, the statistic is unclear as the cohort is still ongoing. TheFlexible Employment Programme(FEP) was initiated in November 2013, with the aim of helping young single parents to be placed in employment under flexible working hours. Since its implementation, a total of 36 candidates have been placed on the programme. Of the 36, 22 candidates dropped out and 9 secured employment. 8 new participants started on the programme on the 1stApril, 2016, but as of January 2017 there were only 4 remaining participants. With the closure of the St. Anne Hotel, one of the initial key partners, there are now new participants on the scheme. With the restructuring of the division responsible for the FEP, and the re-introduction of the Unemployment Relief Scheme(URS) in 2017, there is a need to revamp the FEP to ensure that no youth is left without an employment option. In conclusion, the Seychelles can claim that it is trying very hard to provide all its youth with employment opportunities. Although faced with many challenges, it is the duty and responsibility of the Youth Department, along with its key partners from the Employment and Entrepreneurship sector and the Education department, to keep searching and finding solutions to mitigate the adverse effects of the country’s dynamic and ever-changing social and economic landscape on youth employment.